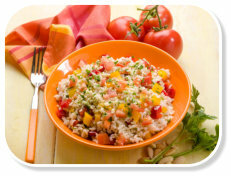 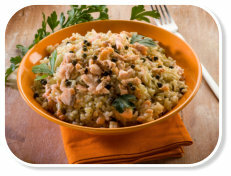 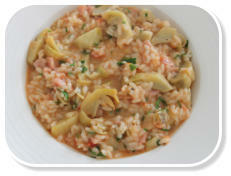 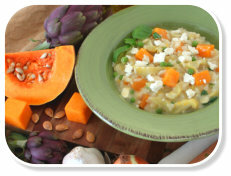 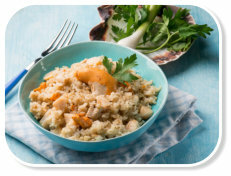 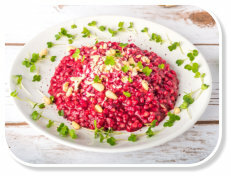 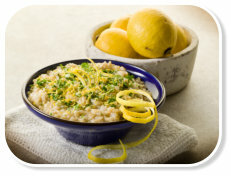 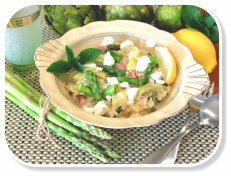 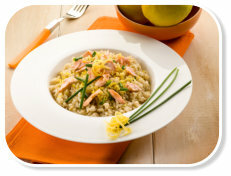 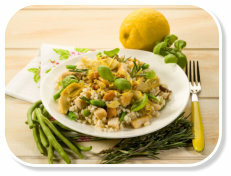 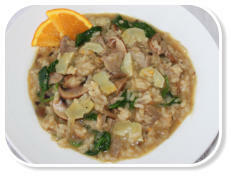 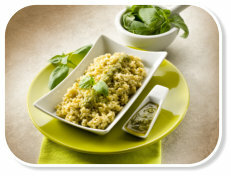 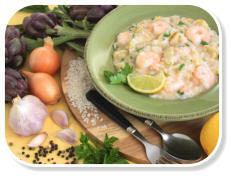 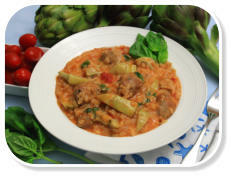 Enjoy the scrumptious versatility risotto provides. 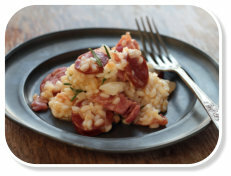 Being presented either as a fabulous entrée or main meal, risotto is a guaranteed winner. 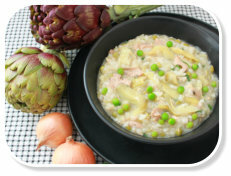 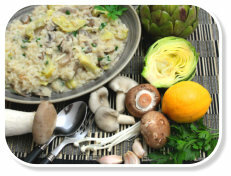 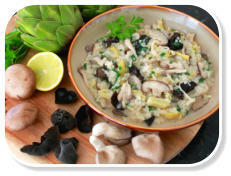 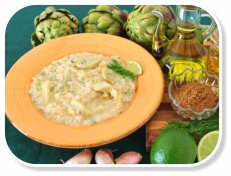 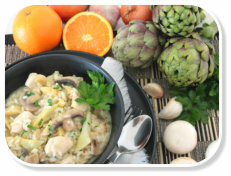 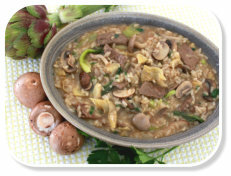 Globe Artichoke risotto makes a hearty dinner ideal for vegetarians, as artichokes are high in iron, niacin, phosphorus and potassium; simply remove any meat and add in extra vegetables. 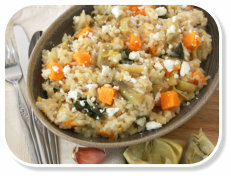 We have used different, exciting and tasty ingredients combined with rice infusing diverse flavours and textures. 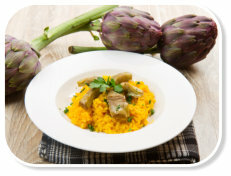 A perfect dish to enjoy with friends or at the end of a long working day!